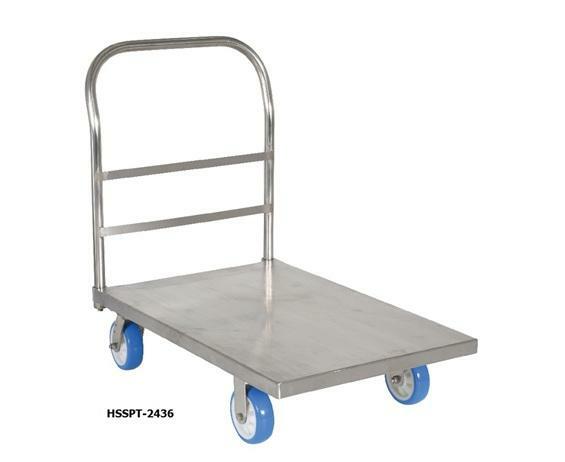 High quality Stainless Steel Platform Trucks are highly suited for use in clean room environments, applications with food handling, and the pharmaceutical industry. Completely formed from 201 grade stainless steel sheet and tube. 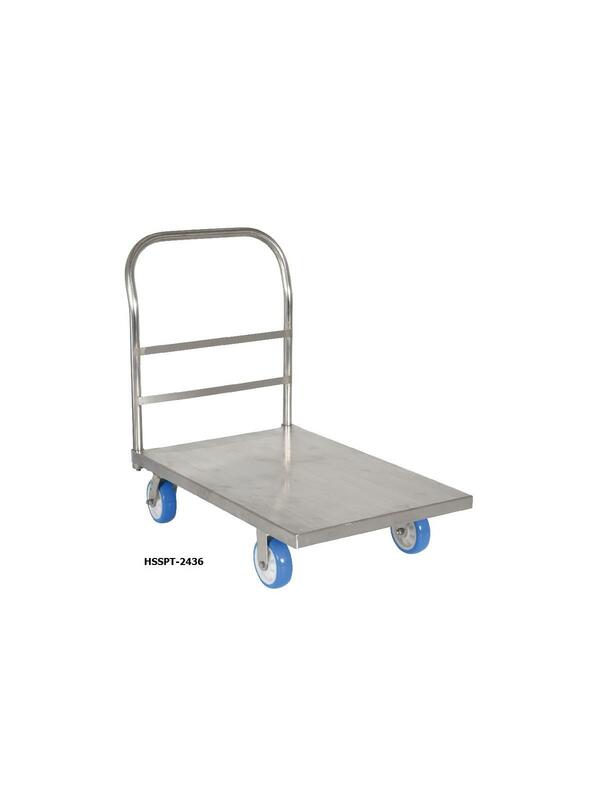 Corrosion resistant, non-wearing, temperature resistant, completely hygienic, and stainless steel roller bearings. 100% stainless steel platform trucks. FOB Shipping Point.